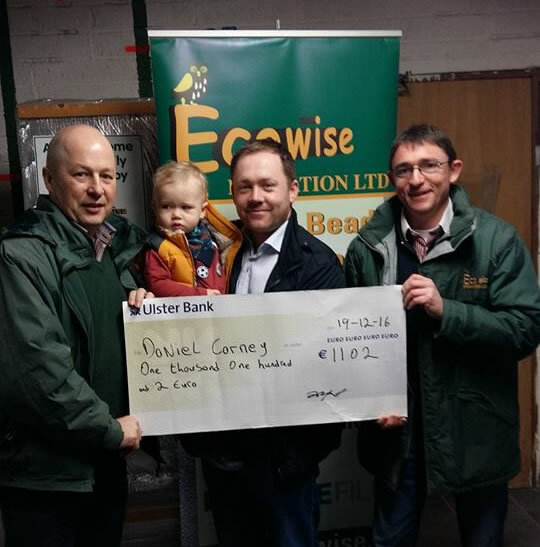 Congratulations to Daniel Carney, who collected his check for €1102. the cost of his insulation carried out by Ecowise in 2016. Pictured is Daniel collecting his prize money at the Ecowise office. The competition was part of Ecowise Insulation celebrating 20years in business. well done Daniel and thanks for choosing Ecowise. If you'd like more information about how Ecowise can help you save money on your heating bills with our range of insulation products simply complete the form below and we'll get back to you.